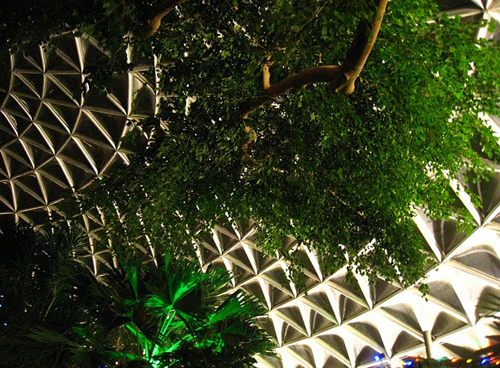 This past year, the Park Board announced plans to close the Bloedel Floral Conservatory. 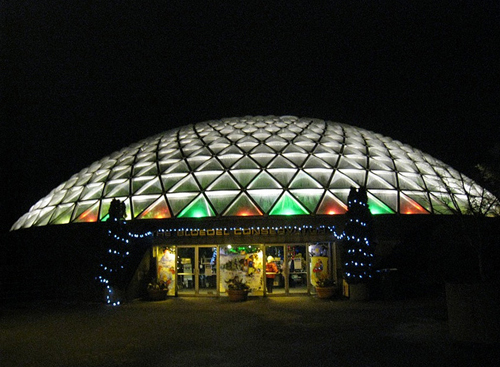 Protests and petitions starting rolling across the city to save Vancouver’s iconic dome in Queen Elizabeth Park. I signed a petition to keep the Bloedel, but I have to admit, I cannot recall the last time I’d visted — despite my parent’s house being mere blocks from Queen E.
The Friends of Bloedel managed to save the Bloedel Floral Conservatory by partnering with the VanDusen Botanical Garden Association and making a successful bid to take over from the Vancouver Park Board. 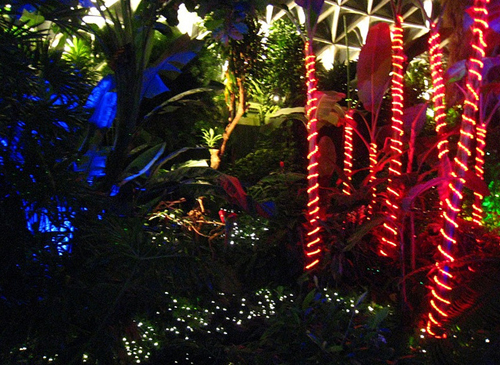 The Jewel Box of Lights event marks the conservatory’s 41st anniversary as well as the first year of lazer lights, twinkling bridges, waterfall lights, and thousands more. The Jewel Box of Lights began on December 5th with a special fundraising event with an a capella quartet, a trio of tubas and a visit from Santa. 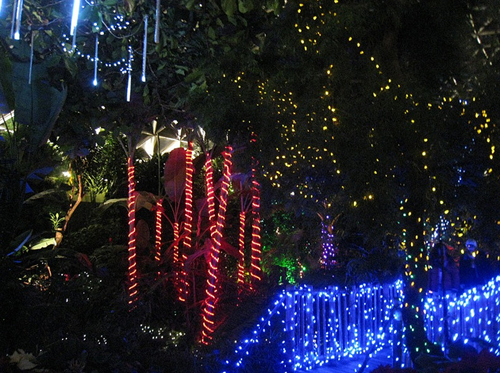 When I heard about The Jewel Box of Lights, a twist on the Bloedel’s traditional poinsettia display, I made a note to visit. I stopped by earlier this week with my friend Eka. We took a Self Guided Tour (brochure provided) and a fun “Can you Find All these Birds/Plants” list for kids. 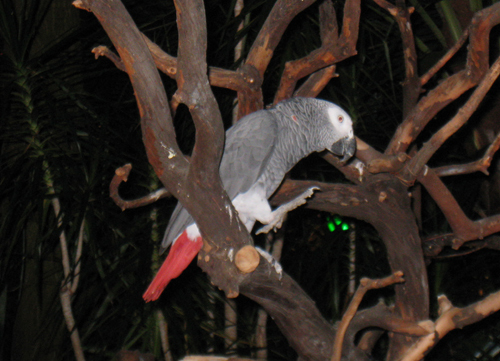 The twinkling lights were beautiful at night, but the birds were all sleepy. 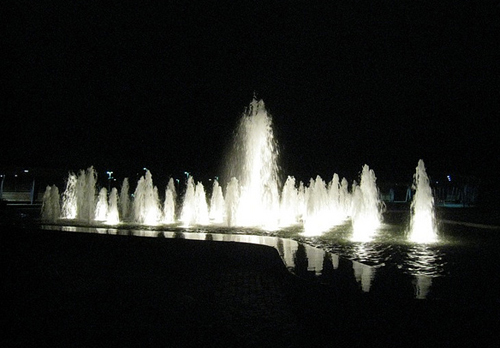 See all my Jewel Box of Lights photos on Flickr. 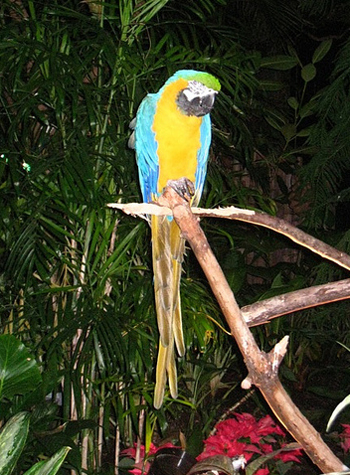 For awesome videos of the birds at the Bloedel Conservatory, check out the Friends of Bloedel on YouTube. 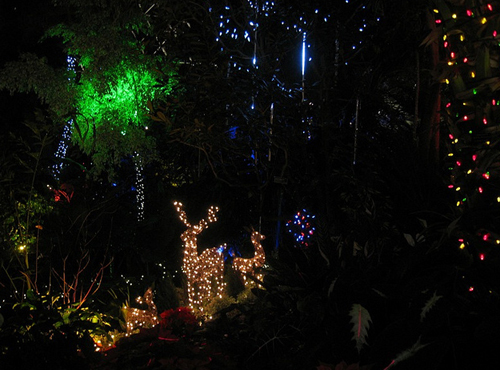 The lights and poinsettias will be on display until January 2nd. How very beautiful!! You’re lucky to have access to such. Okay, okay, cities have their advantages! Super photos! Thanks so much for a great post and all your support!